In the quest to cover a dinosaur model with scientifically accurate skin, Dr. Phil Manning employs forensic analysis on the incredibly rare fossilized skin of a baby titanosaur. 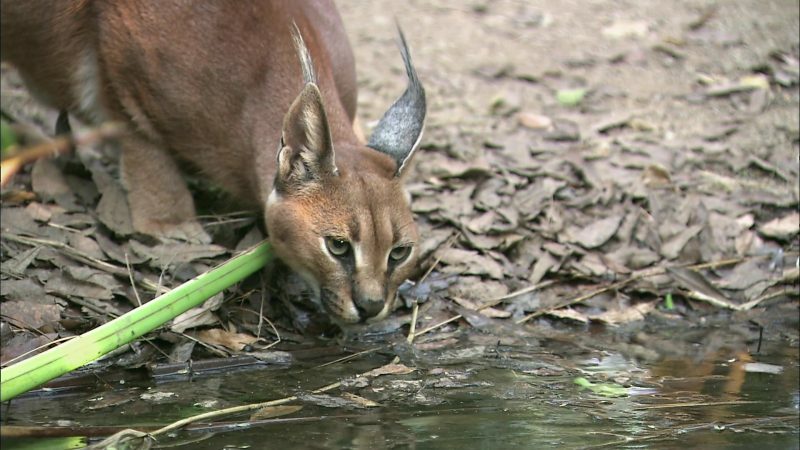 In Botswana’s Mashatu Game Reserve, and adolescent male caracal is preparing to leave the security of his mother and strike out on his own to stake his claim. The young predator was born with an arsenal of weaponry including hearing accurate to the nearest meter and powerful hind legs that can launch him 10 feet into the air. But, as one of the smallest cats, he will have to refine his killer skills if he is to survive the daunting dry season.